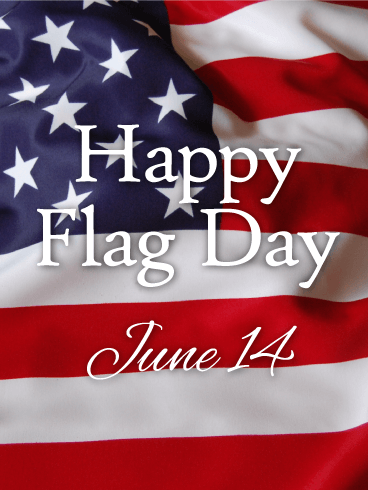 On June 14, 1777, the American flag was officially adopted as the symbol that would represent the country throughout the world. 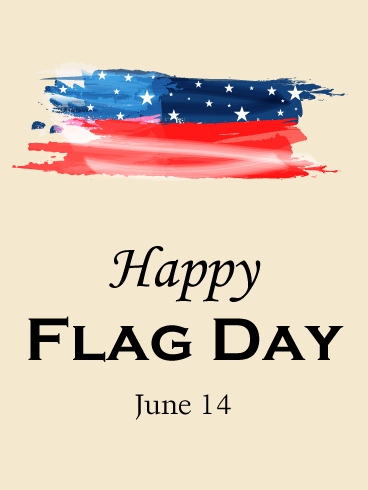 Designed with 13 red and white stripes to represent the first American colonies and 50 stars to represent the states that form the country we know today. 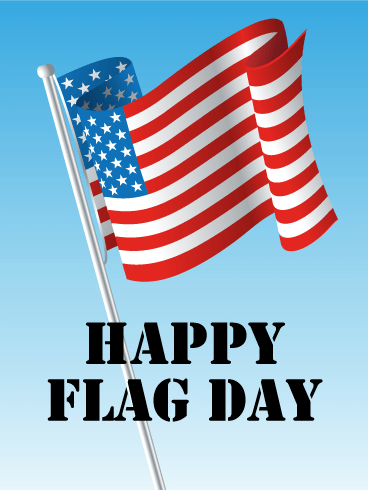 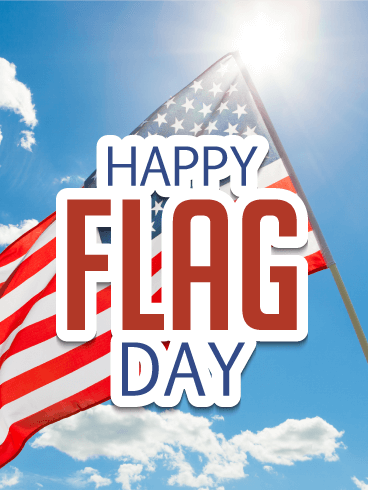 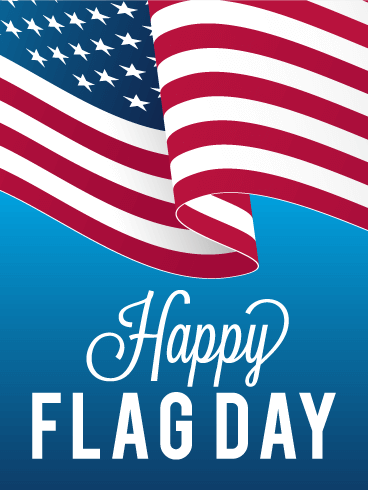 By sending this Happy Flag Day card, you can remind your loved ones of this special day! 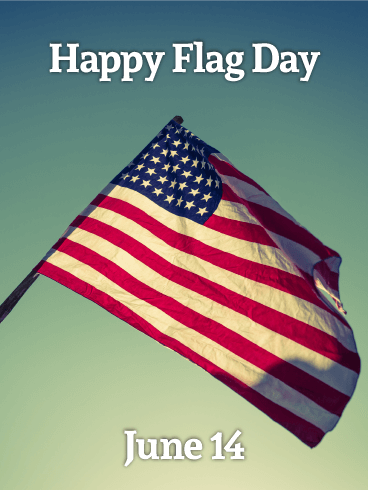 Few things inspire pride and patriotism like the sight of the American flag waving and snapping in the wind. 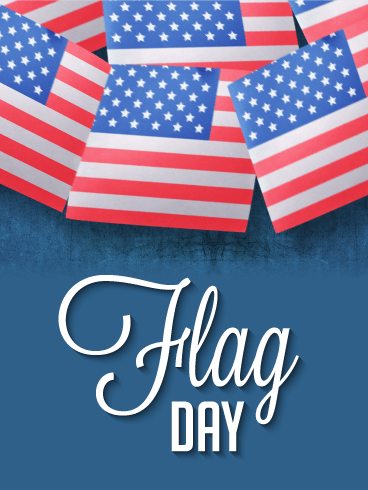 Like the windswept flag on this Happy Flag Day card, the motion reminds viewers of sights like man's first visit to the moon and the Allied victory over the horrors of wars. 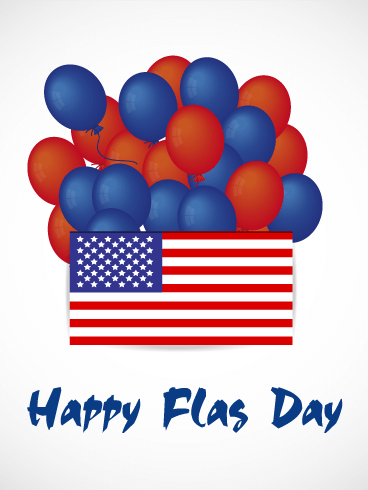 Flag Day was created to commemorate this symbol and it's meaning to the world, so celebrate with this card today! 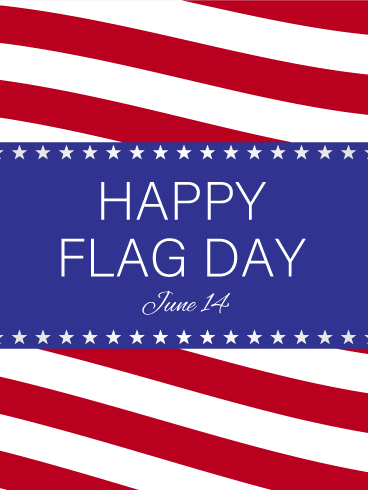 For 241 years, the American flag has stood as a symbol of freedom, bravery, and opportunity for all. 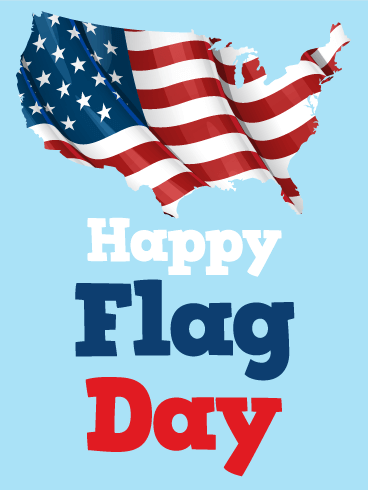 On Flag Day, celebrate this symbol's birthday with the bright and colorful image on this Happy Flag Day card! 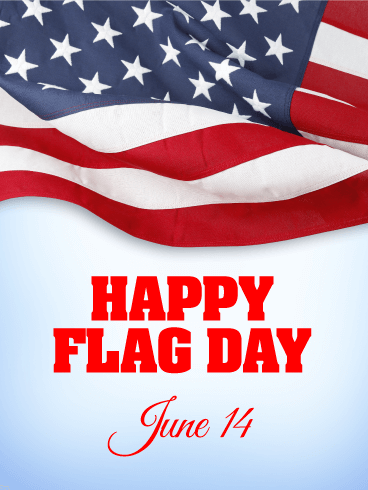 Flags are created to represent their countries throughout the world, so celebrate the red, white, and blue by sending this Happy Flag Day card today!